When enjoying your favorite sandwich or wrap, the last thing on your mind is that you might stain your shirt with mustard. When it happens, it is easy to panic because mustard is a hard stain to get rid of. Just like ketchup, mustard leaves an ugly stain when it spills on your clothes or on any other surface. What makes it worse is the fact that mustard contains turmeric, which is what gives it the not too pleasant color. This color makes mustard a little harder to remove from clothes and surfaces than other stains. If you do not try to remove the mustard immediately, it is possible that it will never completely come off. Like any other stain, the best time to remove it is immediately it spills on your clothes or on a surface. 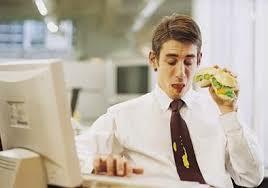 When mustard spills, the first course of action is to blot it out as opposed to rubbing it off. When you try to rub it off, you end up spreading it in areas that were not initially affected. Vinegar is used in the house for different needs. One other way you can use it is in helping to get rid of a mustard stain. While there is no one method that fits all, applying vinegar on the stained area can go a long way in making it easier to get rid of the stain. You can call it the first aid of mustard stains. Allow the vinegar to soak in the stained area for a bit, then proceed to use the different methods listed above. To successfully remove mustard stains from clothes, you need to go through a process that involves pre-treating the stain, soaking and finally washing using different detergents. The trick is to remove the stain as soon as mustard spills on the cloth. The first step is to soak the cloth in cold water for half an hour at least. This might remove the stain, but only when it is done immediately the spill happens. Soak the garment in the heavy-duty detergent and let it stay. This is the pre-treating part. Ensure you scrub the affected area thoroughly. Next, soak the cloth in the diluted fabric bleach. You need to note that the bleach might remove a bit of the color on your cloth if you let it sit in it for too long. If the stain is still there, you will need to soak the cloth in the bleach for a bit longer, but not too long for colored garments. A good alternative for colored clothes is using a commercial color remover. Once the stain has come off, you can now wash the cloth as you would normally do. It is good to avoid putting the cloth in the dryer when it is stained. If your cloth is made of nylon or polyester, avoid using water that is above 160 degrees. This is how to remove mustard stains from your clothes. When mustard stains your carpet, the first action you need to take is to treat the stain. If the stain has already dried up, you should squeeze a bit of water & detergent mixture on the dried stain and allow it to sit for a few minutes. This helps to dampen the area and makes it easy to get rid of the stain. Using a blunt knife or a spoon edge, lift the blob from your carpet. Avoid rubbing the stain as this forces the mustard into the carpet fibers. Next, mix a tablespoon of dishwashing soap in two cups of water (warm). Using a clean white cloth, blot out the stain using the detergent mixture. Ensure you use a clean area of your cloth every time you move while blotting the stain. This prevents you from transferring the blotted out stain. After a while, use a dry white cloth to blot out any moisture that might be in the stained area. Repeat the blotting using the detergent solution until the stain is completely removed. Rinse the area using plain water. You can do this by using a clean cloth and plain water. Ensure you leave the spot as dry as possible. You can air dry your carpet. Wondering how to remove mustard stains from your furniture? You can use the same method as that used to remove mustard stains from a carpet. However, you need to be careful not to make the area you’re cleaning wet as this can cause damage to your furniture’s cushion fillings. Once the stain is completely removed, air dry your furniture but not under direct heat. Mustard stains usually create permanent stains on these materials. Even so, you can try to remove the stain by using lukewarm water to make a mild soap solution. Create a lot of foam with this solution as this foam is what you use on your suede or leather. Use a sponge to try and blot out the stain using the foam. This may take a bit of time. Once this is done, wipe the area using a clean cloth that has been made wet using clean water. Dry the area using a soft clean cloth. For leather, use leather cleaners and conditioner after the stain has been removed. Now you know all about how to remove mustard stains.